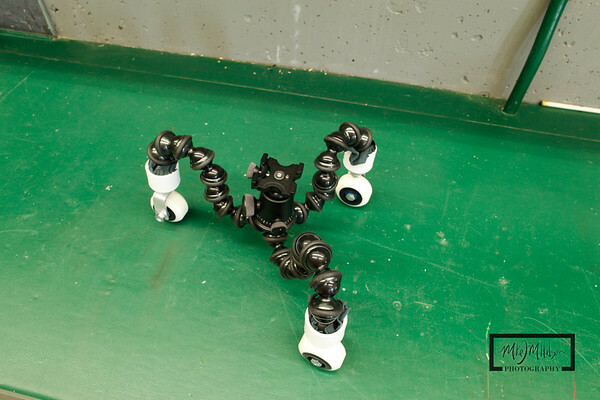 This project came from seeing a Kickstarter project post for CineSkates by Justin Jensen, where he's created a commercial motion dolly that works with the Joby Focus GorillaPod flexible tripod. 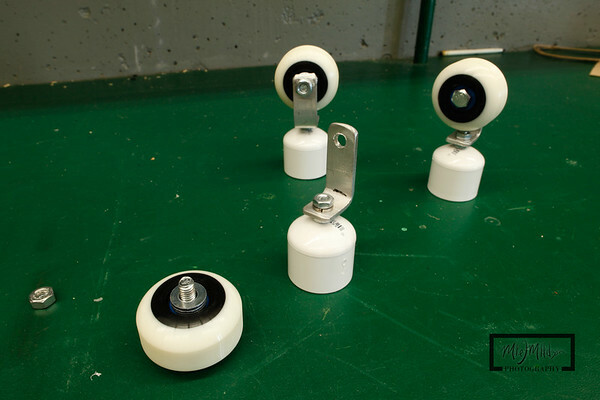 The availability of his skates won't come until October at the earilest since he's still trying to raise captiol, so I decided to see if I could create some of my own. 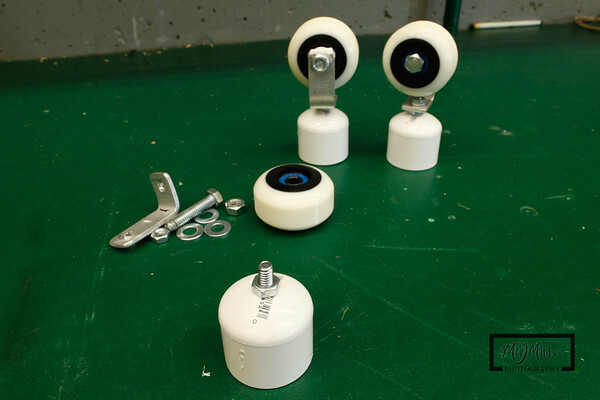 The basic premise is to have a portable dolly that is flexible in usage to capture smooth motion video sequences. I headed to the Home Depot to investigate possible parts. 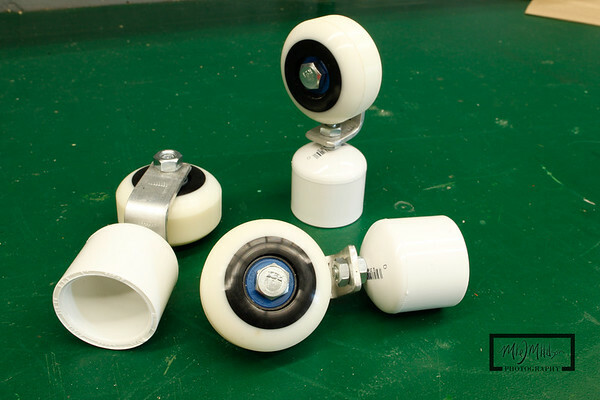 The first obstacle is finding a cheap solution for holding the last segment of the flexible tripod to the skate mount, and hoped that a PVC end cap wold work. The sizing was almost perfect, and was snug. 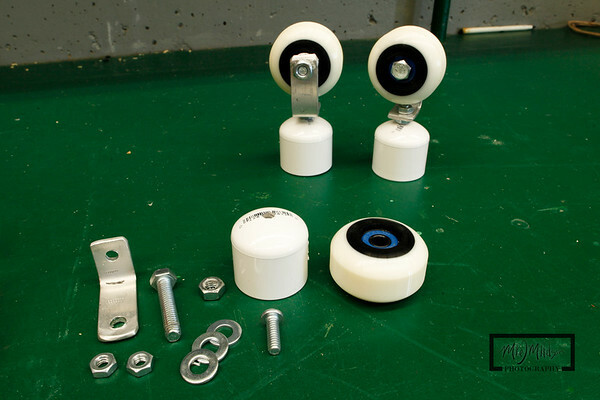 I personally had all of the other parts I would need to create a prototype. I don't have time today to go into all the details of this build, so the pictures hopefully will tell the rest of the story. Start by drilling a hole in the end cap for the 1/4" bolt. 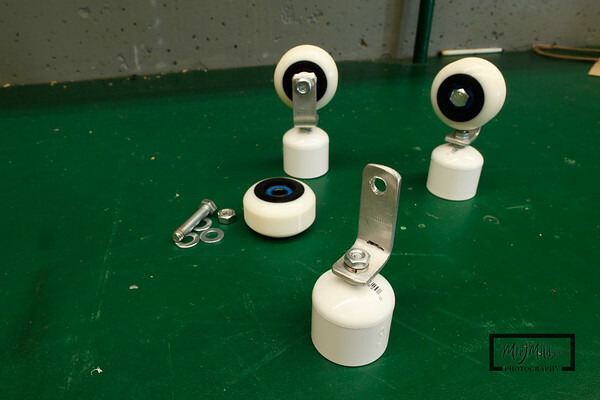 Secure the bolt with a nut, and add the aluminum bracket. I created the bracked from stock aluminum that you can find a Home depot, cut to length, used a vice to bend it, and drilled holes. The bolt needed to hold the skate wheels to the bracket is 5/16". You should use 2" bolts, but I only had 1.5", and was just long enough to make this work. I added some spacer washers to the inside, as the bearings don't sit flush with the wheel edge. Even though the feet of the Joby Focus tripod were somewhat snug into the PVC cap, I found that taking some cotton fabric made as a shim made the fit better. 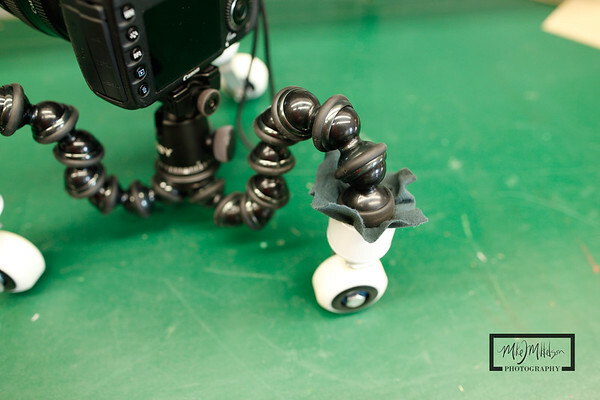 Although the rig was stable enough to hold a dSLR camera, I found it was more rigid when I used my Sony NEX-5 or GoPro HD Hero as the camera. 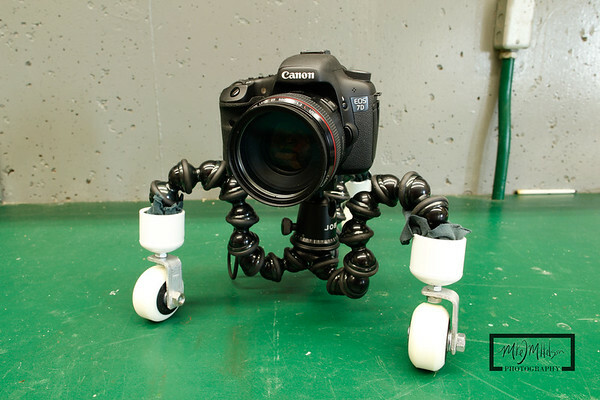 I think that this is more to do with the weight limitations of the Joby tripod than the skates. 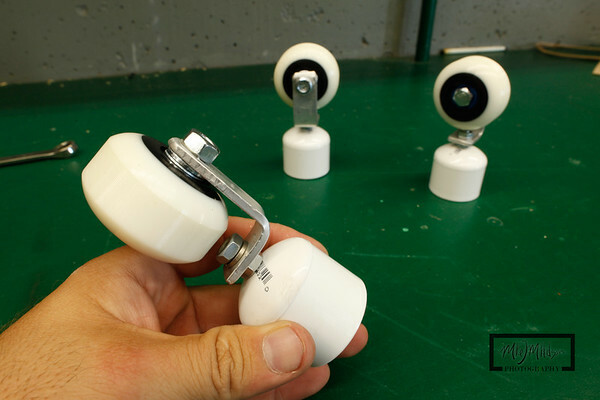 What a cool idea - I hadn't heard of the "cineskates." Looks like you got some good results with it.